Your wedding day is one of the happiest, most important, days of a woman’s life. We take hours to prepare every last detail, including the rhinestones and sequins on the wedding dress of our dreams. The dress is, traditionally, a huge part of the big event and feeling comfortable and confident in your wedding dress is just as important when you come down the aisle. Many brides embark on restrictive diets and grueling exercise regimes in an attempt to shed those extra pounds and shape up before their big day. But with this effort comes sacrifice, and often times disappointment when we don’t end up with the results we worked so hard to achieve. Luckily, non-surgical fat loss procedures have made it possible to target these trouble fat areas, providing a quick solution to fat loss. Not only that, many of these methods allow you to target and reduce fat from unwanted areas, something which is difficult to achieve with regular diet and exercise. On top of these advantages, non-surgical procedures are never invasive, painful, or require downtime, which is why they are ideal for brides who want to look their best on their wedding day. There are a number of FDA approved non-surgical fat reduction treatments available, each providing their own individual benefits. 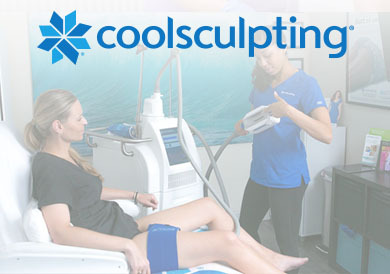 CoolSculpting is a modern cosmetic procedure that uses cryolipolysis to freeze and kill fat cells via the surface of the skin. The procedure uses patented machine technology that includes gentle suction to target the fat cells. Since its non-invasive, it never negatively affects the muscle or skin. The cold temperature gets rid of the fat cells which are then eliminated by the body’s natural waste process over a period of several weeks. 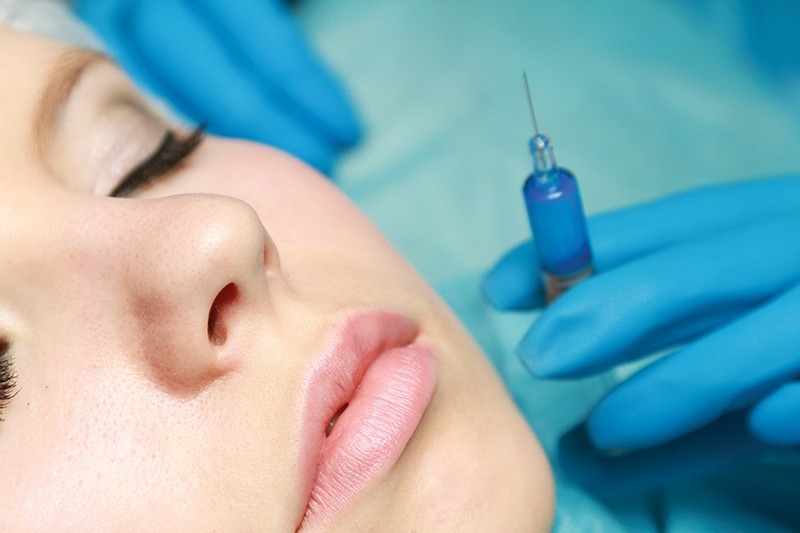 Usually, more than one treatment is necessary to achieve the desired results. Laser fat reduction, also known as SculpSure, gets delivered through the skin in the form of laser wavelength which heats the fats cells until they break down. The device also applies constant cooling to the skin ensure that it does not overheat or get damaged. Ultrasound fat reduction breaks down fat cell walls in the treated area using focused sonic waves. This method releases the fat which is then metabolized by the body to reduce the size of the fat deposit. Ultrasound fat reduction is available in the form of the UltraShape treatment which uses pulsed ultrasound technology, or in the form of Liposonix which uses a high intensity focused ultrasound. Deoxycholic acid is a natural substance present within the human body that assists in the break down of fat for digestion. Most recently, scientists have uncovered a way to use deoxycholic acid to reduce fat in trouble areas like the neck. The process involves injecting the compound directly into the pocket of fat, the chemical then works to effectively spot reduce fat in the treated area. A newer technology called UltraSlim works in a different way to many of the other non-invasive fat removal solutions that are currently available. While most other treatments kill fat cells to reduce the total number in the body, red light therapy reduces the size of the fat cells themselves. It works by delivering specific light wavelengths through the skin via a special lamp. The light encourages treated fat cells to open and partially release some of the fat promoting a reduction in their size. 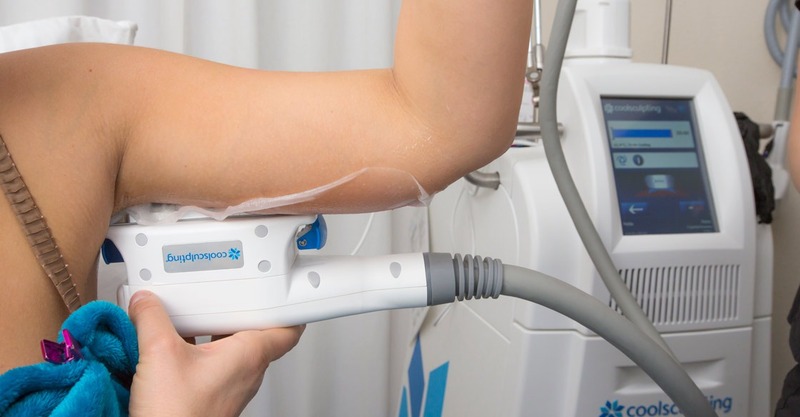 While there are a number of non-surgical fat reduction treatments available, cryolipolysis in the form of CoolSculpting is arguably the most popular due to its ability to provide significant fat loss results. It is also one of the most widely tested methods, so it is known to be not only efficient but safe. Contact SDCoolSculpting to book in a consultation and to find out more about the weight loss treatments we provide, and how CoolSculpting could provide an effective tool in your weight loss journey.